Enjoy the top 1 famous quotes, sayings and quotations by Gilbert-Hernandez. 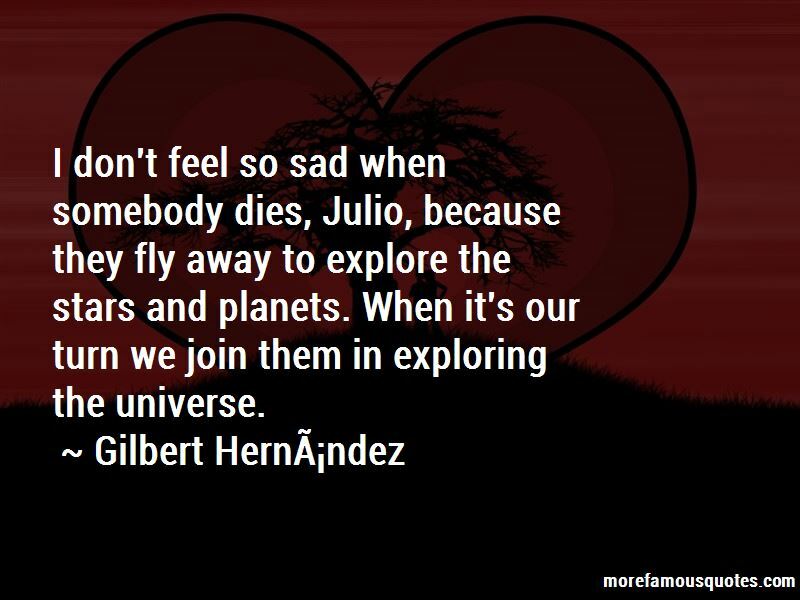 I don't feel so sad when somebody dies, Julio, because they fly away to explore the stars and planets. When it's our turn we join them in exploring the universe. Want to see more pictures of Gilbert-Hernandez quotes? Click on image of Gilbert-Hernandez quotes to view full size.